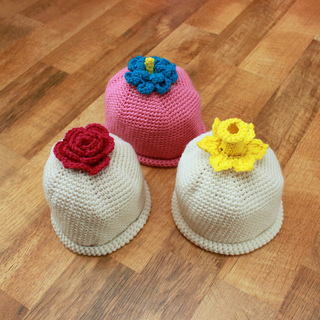 This is a pattern for three different flower hats: a rose, an exotic flower, and a daffodil - hat can be made to fit any size. Basic materials needed for this pattern are worsted weight yarn and I hook. Skill level: Intermediate will need to be able to follow instructions well and change color. 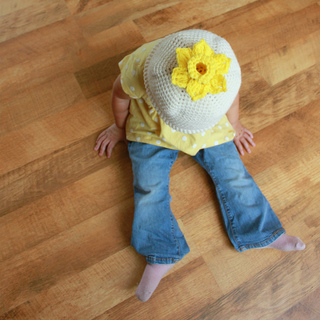 There are instructions to make the simple hat (without the flower crown) which is very easy. You can make this hat without the flower crown for the boys in your life. 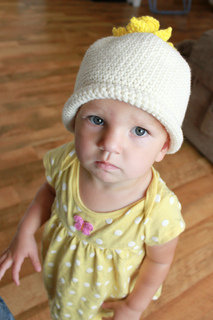 You can also make just the flower part of this hat and the simple hat and add the flower to the hat wherever you like.